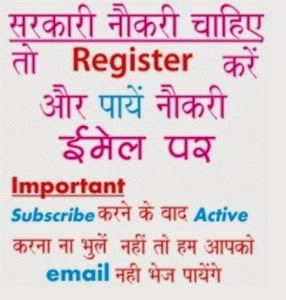 Dyal Singh College Recruitment 2019 News: Check Dyal Singh College recruitment 2019 online in coming days till you can see old circulars. Earlier Dyal Singh College, Karnal invites applications for Post of Teaching and Non Teaching Staff Jobs on contract basis for session 2017-2018. Interested candidates have to apply on or before as per official schedule and broadcast advertisement of Dyal Singh College recruitment is published at dsckarnal.org. More information of Dyal Singh College Recruitment 2019 regarding pay scale, qualification, experience, logo image and application form etc is given below……………………. 1. At least three years experience in supervisory or equivalent cadre in a Group B post in a government department/ University/Educational or Research Institution/Teaching and /or Research experience along with proven administrative capabilities. 2. LL.B or MBA or CA/ICWA or MCA or M.Phil/Ph.D qualification. Essential: MCA or M.Sc. (Computer Science/IT) from a recognized University/Institute with one year experience or B.Tech./B.E. (Computer Science/ Information Technology/ECE) or equivalent degree with one year experience in relevant area. 1. A Bachelor Degree from a recognized University. 2. At least three years post qualification experience working as Private Secretary/ Personal Assistant/ Stenographer/ Executive Assistant/Executive Secretary in a Government Department/Universities/Autonomous Bodies/PSUs/Educational Institution recognized by the Government. (a) Dictation: 10mts@ 100 w.p.m. (b) Transcription:40 mts. (English) or 55 mts. (Hindi) on computer. 2.Diploma in Office Management and Secretarial Practice. Graduate with minimum 50% marks or Post Graduate with minimum 50% marks from a recognized University in any discipline with working knowledge of computers, and Diploma/ Certificate of minimum 6 months duration in Computer Application/Office Management/Secretarial Practice /Financial Management/ Accounts or equivalent discipline. Graduate Degree with minimum 50% marks in computer application/office Management/Secretarial Practice/Financial Management/Accounts or equivalent discipline from a recognized University. 1. Degree/Diploma in Computer Application/Science and knowledge or operation of latest packages relating to pay roll, Accounts, MIS etc. 2. Diploma in Office Management and Secretarial Practice. 1. Graduate in Arts/Science/Commerce or any other Discipline or any other higher qualification with 50% marks. 3. Course in computer application at Graduate or PG level or 6 months Computer course from a recognized institution.